Supporters of “Champagne Jayne” have launched a fundraising campaign to help the wine communicator during her ongoing legal battle with the Champagne bureau. Launched this week via GoFundMe.com, funds raised from the campaign, titled “Jayne vs Goliath” will be put towards the wine writer and educator’s escalating legal fees. In its first day, the campaign raised AU$275 of a $40,000 target. “She is fighting to protect herself from bankruptcy and defend both her integrity and business from the bullying behaviour of the CIVC,” said Diane Lofts, secretary at Wine Guild Victoria. Born Rachel Jayne Powell, Champagne Jayne is unable to rally support herself due to a gagging order imposed by Melbourne Federal Court. “It is very important not only for Jayne to be able to continue with this fight but also for other independent professionals to show their strength and not allow large global corporations to drive out and destroy the businesses and lives of hard working individuals,” read the press release about the campaign. Last December, the CIVC took Powell to court accusing her of trademark infringement over the use of the word “Champagne” in her name, which, its says, “damages the goodwill of the Champagne sector”. Under the terms of the case, the CIVC has asked Powell to stop using her @ChampagneJayne Twitter account and her Facebook account to promote sparkling alternatives to Champagne. Taking place at Melbourne Federal Court, the trial was halted after three days of negotiations and cross-examination when both parties agreed to a mediation settlement, which bans Powell from speaking to the press. Talks will be resumed next month in the presence of an independent adjudicator. If they fail, the trial will be resumed on 10 March. She trademarked the name “Champagne Jayne” in Australia in 2011. 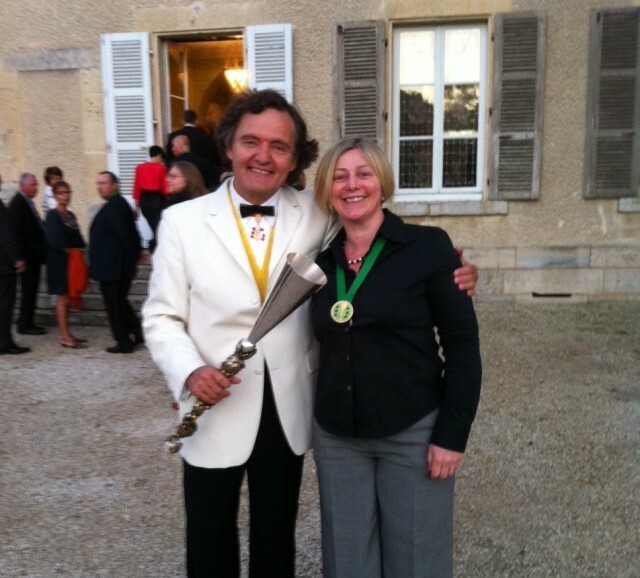 A year later, she was made a Dame Chevalier de L’Ordre des Coteaux de Champagne. Hey…the protectors of the word and region of Champagne have every right to object to this Jayne character using the name in her title, she has no ownership of it, nor has she done the right thing by being pure to the word with respect of the Champagne brand. I am a wine writer also and have been in the trade all my working life as an importer, educator and wine-world traveller. Although this sounds like the ‘big guns’ wielding their power over a seemingly trivial matter, if you are in the business then you have to respect the business. The Champagne name means everything to those who work within it and belong to it, with many battles fought over the years to protect the image, heritage and production of this iconic wine creation – as also in many other wine situations around the globe. So those of us who are privileged to be part of this world of wine need to understand and respect its fight for individual recognition in every aspect otherwise the floodgates will open for copy and corruption. These laws also assist us in the specifics of passing on knowledge and education to others – not all sparkling wine is Champagne etc etc. So Jayne – drop the name – or stick to Champagne. In reply to Alan Hunter’s comments may I ask in which way this champagnejayne represents something detrimental to “the image, heritage and production of this iconic wine creation”? The position of the champagne bureau seems not dissimilar to the “guardians” of a certain religion who ban even the representation of their prophet. 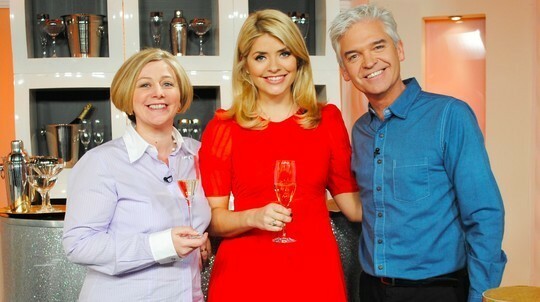 In reply to all of the above, it is not only about Jayne having the word Champagne in her business name it is also and mainly about the fact that she has been accused of promoting and misleading about other sparkling wine while she promotes Champagne. The fact is that she has used other sparkling wines as an educational tool only, to use as a comparison while educating about Champagne. She does not ‘promote’ other sparkling wines. The first question most people ask is ‘what is the difference between a sparkling wine and Champagne?’ Of course that is where the comparison comes into it and that’s where it finishes. As I said previously, it’s use is purely as an educational tool, nothing else. Jayne has done nothing wrong or done anything at all that could possibly damage the reputation of Champagne, in fact quite the opposite. Australia MUST take the tiny ridicolus state of Austria to court and ban its so missleading name! They have mountains! They even raise dictators! Actually CJ (who is virtually unknown outside Australia including champagne where I have a vacation home) has been featuring non-champagnes – e.g. on her twitter. she has failed to understand that her entire success is build on the backbone of a trademark she needs to respect. doesnt mean that she is beyond the basic respect for champagne. jayne is not important in this content. champagne is. she does not hold any rights because she took benefit from an already respected brand. thats of course her own choice but whether she wins or not she will be finished in the champagne region. noone will accept that she promotes outside wines. it is super sensitive as the champenois fear competition alot these years.